In the futuristic world of Continuum, lost governments hand the keys to corporate overloads. They create amazing technology but develop an inhumane system of control by any means necessary. Looking at our divisive modern world, imagining this scenario isn’t a big stretch. I don’t expect the police force to wear skin-tight suits with super powers, but their focus on corporate interests is easy to accept. This Canadian series aired in the U.S. on SyFy from 2012-2015 with minimal fanfare, but its vision of our dangerous path hits home. By the time we reach the final episodes, the villainous terrorists have become true heroes. They aren’t corrupted by power and have retained a precise focus on ensuring that Big Brother loses the war. What makes this show click is the way it combines political issues with sci-fi thrills inside a tight procedural. Many familiar faces from the Vancouver acting scene also show up and join the fun. It’s like a Stargate franchise reunion almost every week! Continuum was created by Simon Barry, a lesser-known British filmmaker currently producing the Van Helsing TV series. Despite its genre structure, this show feels different and becomes quite unpredictable. The last two seasons in particular are a remarkable change from the more episodic beginnings. The sci-fi concepts aren’t just the set-up for a normal cop show. Barry grows more confident with each passing season and builds an intriguing world that could have thrived for much longer. The story centers on Kiera Cameron (Rachel Nichols), a detective in 2077 tasked with tracking down violent terrorists. Known as Liber8, the eight criminals are set for a public execution with Kiera in attendance. Their unique form of escape is a time travel device that ships the gang back to 2012, along with Kiera. Liber8 plans to change the future and prevent The Company from taking control. They have no concerns about how many die in the process, however. Kiera has two main goals: stop Liber8 and get back to her family in 2077. She partners up with Detective Carlos Fonnegra (Victor Webster) at the Vancouver PD to stop the terrorists. It’s hardly a “good vs. evil” situation, and Kiera begins to learn that perhaps she’s chosen the wrong side. Kiera’s main ally is Alec Sadler (Erik Knudsen), a young tech genius who will ultimately create the bleak future. The friendly guy is quite different from the hardened old man (William B. Davis, The X Files’ CSM) of 2077. For a long time, he’s the only person not in Liber8 that knows Kiera’s true origins. Alec faces down the idea that his future is set in stone. His step-brother Julian (Richard Harmon) has a similar issue with his own dangerous role to come as the notorious rebel “Theseus”. Can the future be changed? This question dominates the early seasons, particularly when Liber8 starts operating. Their leader Edouard Kagame (Tony Amendola, Bra’tac from Stargate SG-1) fully believes in their mission and the sacrifices. What’s interesting is how much the emphasis shifts during the course of the four seasons. Synopsis: Kiera lands in 2012, joins the Vancouver PD, and battles Liber8. It’s tricky to build an ambitious sci-fi series, particularly one with two time periods. The premiere must introduce both the dystopian world of 2077 and the present-day setting in 2012. There also are quite a few characters beyond Kiera and Alec. Continuum reveals the major players early but doesn’t overdo the exposition. Casting the right actors eases the burden. Roger Cross (24, Dark Matter) is born to play a hulking baddie like Travis. We also recognize character types like Carlos’ kind-hearted cop and Liber8’s amoral tech genius Lucas Ingram (Omari Newton). Lexa Doig is another familiar face to sci-fi fans through her work on Andromeda and SG-1. Her role as the smart and committed revolutionary Sonya Valentine is an easy sell. The first season draws us into the story because we’re interested in the characters. It includes the best work from Stephen Lobo as the self-centered Matthew Kellog, a reluctant member of Liber8. His performance grows hammier with each successive season, but he’s quite sympathetic at the start. What separates this show from similar genre fare is the way it gives distinct personalities to each criminal. It takes longer to connect with Jasmine Garza (Luvia Petersen), but her single-minded style is a great contrast with thinkers like Sonya and Kagame. I’ve barely scratched the surface of all the characters, but I’ll cover more as we go along. Supporting players drift into and out of the story, and I’m trying to avoid spoiling too many details. The episodes typically begin in the future with new information. These scenes work better when they don’t include too many visual effects. The set design is good, but there are limits with a TV budget. It’s quickly clear that Kiera’s employers in 2077 were hardly saints. Barry doesn’t let her make that realization quickly, though. She spends the first season working to stop Liber8 as “The Protector”. There’s an internal conflict, however. Kiera knows that Liber8 is her best chance of getting home. She believes in the law but isn’t ready to come clean to Carlos about her past. Alec is her one source of relief, and their bond grows quickly. The chemistry between Nichols and Knudsen makes it easy for us to root for them. He spends this season on the farm as her support with tech and growing acclimated to this world. There’s also a “fish out of water” aspect to Kiera’s daily life that adds some levity. Real life is quite different in our primitive society. There are some random detours in the first season, but that’s common for a show that’s finding its legs. “The Politics of Time” takes an awkward detour and has Carlos investigated for murder. There’s little doubt he’s an innocent man, and the story feels like a distraction from the main plot. The slower development feels natural and sets the stage for excitement down the road. 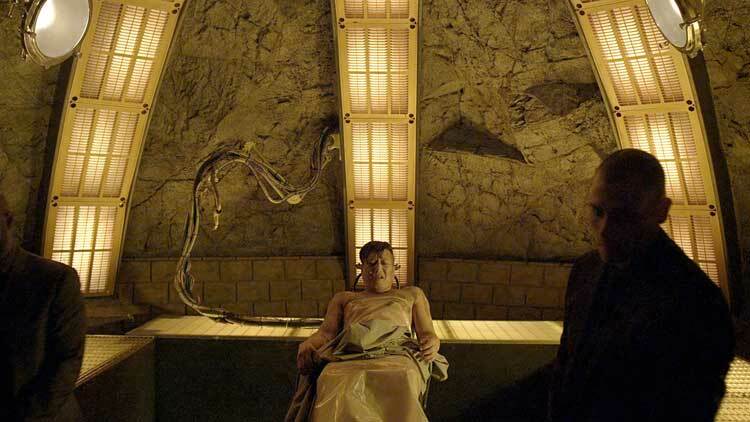 The 10 episodes really start clicking in the final third, particularly when revelations appear about the leap back in time. There’s definitely more than meets the eye, and the clever world building isn’t predictable. It’s fun to spend time with these characters, even the violent criminals from Liber8. We aren’t always on board with Kiera’s goals and understand the suspicions of an investigator like Gardiner (Nicholas Lea, The X Files’ Alex Krycek). Those gray areas will only expand down the road, which makes it easy to stay on board for more. Synopsis: New friends and foes emerge, Alec finds love, and all hell breaks loose. Continuum’s first season did the heavy lifting and introduced the major players. It was only 10 episodes, however. This universe continues to expand in the next group of 13 episodes. The first season covered Kiera, Alec, and Carlos versus Liber8, but it’s more complicated now. There’s dissension at the VPD, and Kiera is the prime target of a committed Gardiner and his boss. Meanwhile, Liber8 has split into factions led by Sonya and Travis. Kellog is out solely for himself, and the mysterious Mr. Escher (Hugh Dillon) lurks in the background. It’s great to watch Barry and the writers expand the show into new territory. Kiera still wants to go home, but she’s more entrenched in the present-day world. There are a few hiccups along the way, but there’s more depth to the relationships across the board. Themes of corruption and rising corporate power also take center stage. When a private company essentially buys the police department, it’s a familiar conflict to our reality. What makes it click is the lack of a black-and-white scenario. Inspector Dillon (Brian Markinson) played by the rules and lost his job, so he’s ready to enforce his will as the chief. His actions make sense despite the potentially disastrous consequences. The same is true of Gardiner, whose suspicions about Kiera aren’t totally wrong. He’s drawing false conclusions, but his intuition notices the right signs. Kiera is deceiving them and Carlos, and the VPD is not always her main concern. When they start working together, Kiera and Gardiner prove to be kindred spirits with a similar dogged pursuit of their prey. Nicolas Lea is definitely the right guy to play this determined force. This season also introduces the Freelancers, a powerful group with an unclear mission. They’re a determined force willing to kill if necessary to achieve their goals. It’s refreshing to not learn too much about them right away. That’s also true about Escher and Jason (Ian Tracey), a time traveler who first appeared in the season one finale. We share the confusion from Kiera and Alec about what’s really happening. On the other hand, it’s a relief to have Carlos develop as a real ally for Kiera. It’s similar to the situation on Alias with SD-6. At some point, watching the hero dupe her close friends loses steam. Victor Webster is the show’s moral center as Carlos, so keeping him on the sidelines of the main fight didn’t make sense. Another development is the arrival of Emily (Magda Apanowicz), who falls for Alec. Her mysterious past and hidden connections to Escher complicate the situation, though. She functions as a plot device to drive the season’s climax, but the relationship also works. Alec’s decision in the end makes sense and wonderfully sets up the next chapter. It’s refreshing to have a new emotional connection on a show that is often plot-driven. Kiera is struggling with an internal conflict and still carries a torch for her family. She’s also falling apart under the stress. “Second Opinion” cleverly introduces a threat from within — a program that will erase her memories if Kiera doesn’t regain her composure. These battles set the stage for the changes that will come to Kiera’s perspective next season. Reaching the future won’t be so critical…at least for a time. The second season improves on the first but still has a few low points. The appearance of a new drug called flash in “Second Thoughts” feels out of a lesser show. While it connects directly to Kiera’s future, the dangerous drug is a little too silly. Another weird moment has Lucas hallucinating in “Second Guess”. His mind is cracking and seems connected to time travel. What’s troubling is how the issues are barely referenced again in upcoming episodes. He seems back to normal and able to function as part of the team. Regardless, these are minor glitches in a stellar season. Following an excellent final two hours, we’re all set for a whole new game. Synopsis: Alec shatters the timeline, Kiera chooses sides, and the entire landscape changes. If you’ve read this far, I suspect you’re okay with some minor spoilers. It’s nearly impossible to discuss this season without describing the basic premise. 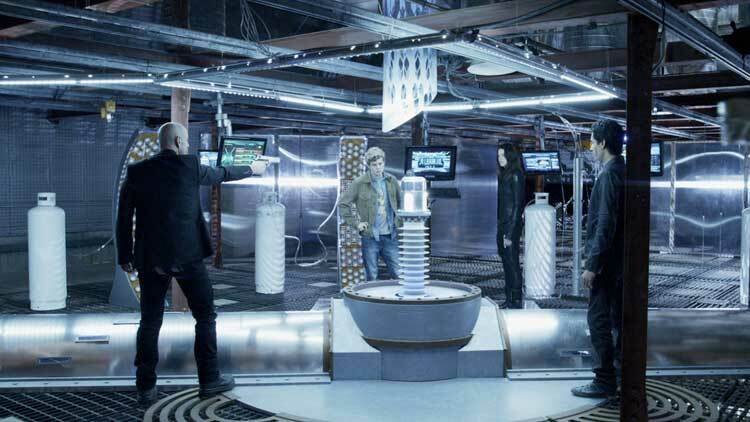 Continuum embraces the timey-wimey side of its premise and just goes for it. The result is a huge upgrade and a pretty remarkable 13 episodes. 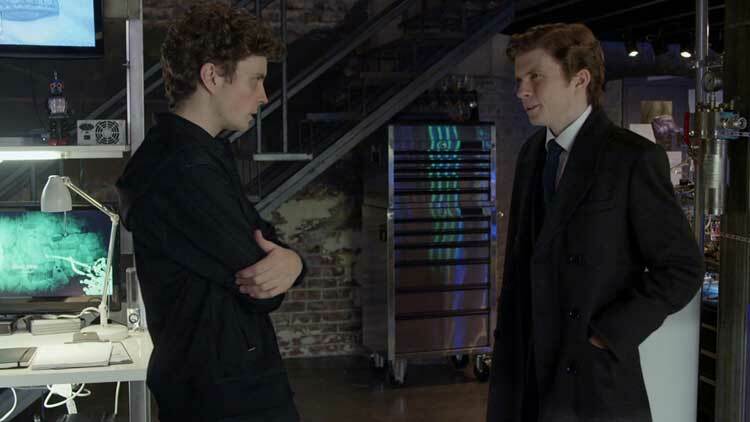 Following the stunning events of the season two cliffhanger, Kiera and Alec end up in a separate timeline with other versions of themselves in play. They’re the only people aware of the recent events and have been changed by the result. Their presence also has a huge impact on the other characters, particularly the other Alec. The immediate stakes are so much higher now, and the Freelancers remain a serious threat. The future has changed, but is that a good thing? What makes this season click is how wonderfully unpredictable it becomes. The premiere “Minute by Minute” clarifies what the Freelancers do and sends Kiera on a new journey. This timeline’s fate hangs in the balance, and she has few allies. Carlos believed her story last season, but he struggles to stay on board this time. Her Alec just wants to escape with Emily, and the Freelancers have more pressing concerns. Only Liber8 understands what she’s experiencing, and that’s hard for Kiera to swallow. A new arrival from the future (Ryan Robbins) might provide hope, but he can’t remember his identity. How can she trust a guy who doesn’t know himself? 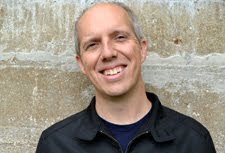 Robbins is a familiar face to fans of Sanctuary and other sci-fi shows. His presence as an outsider and similar story make it easier for Kiera to trust him, but that may be unwise. The evils from within the VPD and corporations only expand this season. What’s interesting is that Liber8 is still killing innocent people, but they seem more sympathetic now. Their goals feel nobler than corporate gains from Kellog and other Alec. A guy like Travis will do anything to stop his future and destroy anyone in his way, but there’s a reason. The scenes from 2077 clearly show why Travis, Garza, and the others believe their efforts make sense. “Waning Minute” spends a full episode in 2076 and helps explain the motivations for Sonya and Kagame. They fully believe in their cause and will destroy others for a better future. They may enjoy inflicting pain, but the horrors of their time created the monster. Kiera also lived in that world, and seeing the same corruption here crystallizes her struggle. It’s time to step up and fight against the evil forces, even if one of them is a distorted version of her friend Alec. Remembering the events of “Waning Minute” is the last straw for Kiera, and the result is thrilling. We’ve spent a few seasons with the characters on opposite sides, yet the combo feels so right. When Kiera reveals the truth about their efforts to Liber8 in “3 Minutes to Midnight”, it’s one of the show’s best moments. Roger Cross spends much of the series bashing heads, but the look on his face is pitch-perfect when Kiera drops the bomb. Changing time is definitely possible, but it may lead to even worse results. Watching Liber8 regroup and build a super team with Kiera, the good Alec, and even Julian is something to see. It feels earned because of the slow-burn approach through the first three seasons. Stepping up to stop evil Alec leads to quite a satisfying conclusion, despite the new enemies on the horizon. Synopsis: Super soldiers bring a new threat, allies are lost, and the final battle erupts. After the excitement of season three, it’s a little disappointing to only have six episodes to conclude this story. I suspect the alternative was cancellation, so I’ll take this final miniseries any day. It does bring a forward momentum to this season that would be missing with a normal slate of episodes. Characters fall by the wayside quickly, and there is little filler. The final two hours are intense, particularly a Terminator-style invasion of the VPD in the penultimate episode. It’s an interesting way to close out what’s become a really effective series. The enemies are new, but the progression feels natural from the conflicts of past seasons. This season’s premise involves the arrival of super soldiers sent back from 2039 by their leader Kellog. He’s apparently become less self-centered, though his motivations are still murky. The villains work with the present-day Kellog to prepare the way for their master. Kiera, Alec, Carlos, and Liber8 recognize the danger and work together to stop this threat. Complicating the situation is the presence of Brad, the mysterious time traveler who arrived last season. These soldiers are his former allies, but Kiera still trusts him. The justified skepticism from Carlos builds a surprising personal rift between them. She had a brief romance with Brad, but that shouldn’t justify sacrificing this world because of that belief. It’s a challenge to discuss this final season without describing the ultimate revelations. A big one involves The Traveler (Vladimir Ruzich), a powerful being connected to the Freelancers. He sets up a meeting between Alec and his older self that clarifies a major question. What are The Traveler’s motivations? Does he want to preserve the timeline or make it better? That’s a pressing question that hangs over this season. The plot centers on stopping the super soldiers, but there’s more in play. Kiera is still trying to get back to her son, which feels crazy after everything that’s happened. This is her life now, if she’s willing to accept it. Although it falls a little short of the stunning third season, the closing miniseries still packs a punch. The stakes feel necessarily high without becoming outlandish. There’s still a personal stake for Kiera with every move she makes. She’s built a surrogate family in our time and would feel like an outsider even if she could reach 2077. Giving up the chance to see her son may be the only way to save the future. We’ve moved well beyond a solid police procedural by this point. The closing moments are both touching and heartbreaking, and the final scene justifies experiencing this tale from start to finish. Now that I’ve covered the four seasons, it’s time to tackle a challenge from some viewers. Rachel Nichols does great work as Kiera, well beyond anything I saw her do on Alias way back in 2006. Kiera wants to get back to her time but doesn’t throw away her connections in the present day. The issue comes with how long it takes her to realize protecting her future is wrong. We observe plenty of moments from 2077 that should have created doubts for Kiera about The Company. She eventually realizes her error and aligns with Liber8, but it’s a slow process. What makes this less of a problem is how the show addresses her indecision. Characters discuss it directly and are stunned that she won’t take the necessary steps to stop corporate control. The other surprise is her insistence on getting home after realizing it’s a bad future. By the final episodes, she shouldn’t be working to travel forward in time. Alec and Carlos are real friends, and she functions well here. The key factor is reuniting with her son, and that connection does make sense. What’s strange is how little we see of her husband; he shows up in the future periodically, but Kiera rarely talks about him. We see hints that their relationship wasn’t amazing, but it’s still a gray area. This isn’t Nichols’ fault, though. She sells Kiera’s indecision as part of her personality, which makes sense given everything she’s encountered. The tough choices might essentially destroy her son, and that isn’t an easy decision. I started watching Continuum on Netflix a few months ago because of its connections to other sci-fi series. There are so many familiar faces from many of my favorite shows, particularly the Stargate world. I’ve yet to even mention SGU’s Jennifer Spence, who appears regularly as Betty for most of the series. There are also known people behind the scenes, particularly William Waring and Amanda Tapping working as directors. Those names got me started, but I was immediately hooked by the premise and the characters. It’s a show that really benefits from watching it all over a short period of time. Characters drift into and out of the story across multiple seasons. It’s pretty easy to follow and only gets easier through streaming. I’m amazed that Continuum isn’t more well-known among genre fans. It should be an easy sell, particularly with so many Vancouver actors involved. The production values are solid, and the episodes move swiftly. There’s a benefit to having only 42 episodes. With a few exceptions in the early days, the show doesn’t veer into standard plots. It remains thrilling right to the end and leaves you wanting more. 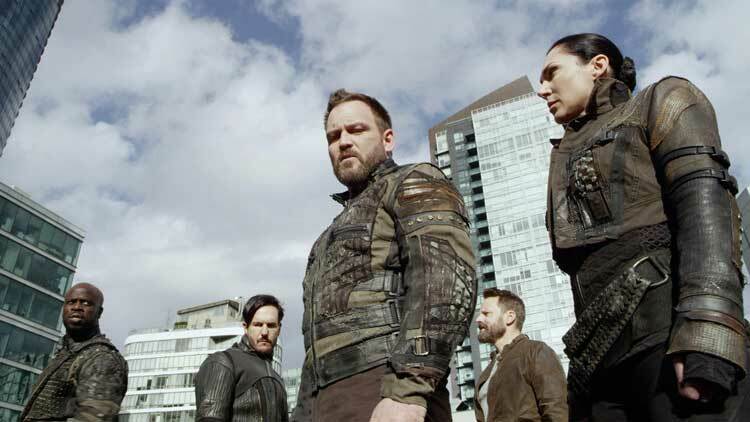 If you’re looking for a new sci-fi show to dive into, you can do a lot worse than Continuum. Stick around for a little while and you’ll be hooked right to the end. Good article. But FYI it's Simon Barry. Not Berry. Thanks! I made the edit; thanks for catching it. Nice review. However I think you should have spent more words on Brad. He's introduced towards the end of the show and quickly gains the romantic affection of the lead character despite the stoic attitude she showed up to that point, making Brad the least liked character by the audience. Writers probably had better plans for him had the show lasted longer, but as of today he seems like a character created merely as a plot device to give the story a sudden push towards its conclusion. I like Ryan Robbins and think his character had potential in season three, but the shortened fourth season did him few favors in the final episodes. I agree that he became a plot device in the final episodes; there was just too much plot to cover in such a short time. I'm glad they were able to close out the story well (other shows haven't been so lucky), though I agree that Brad could have gotten better treatment in the end.